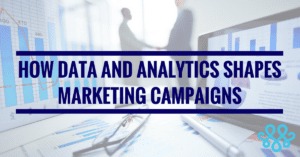 Data and analytics are changing the game in today’s marketing campaigns. Whether it’s the next presidential election or a witty Mother’s Day campaign. Measuring the way customers interact with your marketing campaign has never been more complex. Luckily, with evolving technology and analytics tools, marketers are closing the gap between themselves and consumers. Today’s consumers value transparency. If consumers find out a brand has been lying to them, it is likely they will take a stance. They’ll put their thoughts and feelings out on social media or encourage others to stop purchasing a brand’s product. We have seen this many times. One of the most well-known fiascos in 2017 was the Fyre Festival failure. Consumers expect a lot from their products. Understanding the consumer helps brands and marketers create more effective campaigns. These campaigns take advantage of specific data available through social media. Additionally, they allow brands to market their products strategically to their target consumer. This allows marketers to eliminate wasted ad dollars and use real-time analytics to measure the success of their ads. The point-of-purchase time becomes quicker. Why? Consumers are seeing exactly what they want when they want it, which makes it easier for them to purchase relevant products at the click of a button on their mobile devices. Today’s consumers don’t have much time to waste because they are always on the go. This means they want their free time to be made as easy and stress-free as possible. It’s important for brands to keep their products simple and consistent so consumers can immediately understand what’s being advertised and why they should purchase it. There has been a shift in user behavior in the last 20 years. In the past, brands and marketers got to dictate the message to consumers. They could tell them when, where, and how to use and buy their product. Today, however, with so many brands competing for customers, it allows the consumer to be more particular and gives them more power than they used to have. Many consumers are taking advantage of this power and becoming more selective in which brands they choose to interact with. Partnerships between networks and social media companies are continuing to become more and more popular. With live streaming services like Periscope and Facebook Live, brands are taking advantage of the vast audiences on social media. In the 2016 NFL season, NFL teamed up with Twitter to live stream all of their regular season games on the social media platform. In 2017, the social media network was beat out in a bidding war with Amazon. For the upcoming 2017 NFL season, Amazon will have the rights to live stream the games on their services. Twitter will still be posting live updates and stats as the games progress. Facebook has also taken advantage of this new media tactic. They paired up with Major League Baseball to live stream all MLB games through Facebook Live. This kind of media streaming allows brands the opportunity to market their products to a specific target audience. With Facebook’s metrics and user platform, brands cut out wasted ad dollars and focus on consumers who closely match their target market. Snapchat offers many networks and publications a platform to reach their audiences through the discover page and allows consumers to follow their accounts specifically. Brands are given the ability to create ads that can be used and targeted to Snapchat users based on their demographics, and even their geographic locations. Instagram has also rolled out a new feature where users can find and watch user’s stories by searching for a location. As long as the user tags their geolocation in their story, it can be found through a search based on location. Marketers need to focus on connecting their platforms and departments. Businesses should create each impression across these channels to create business outcomes. By integrating both data research and real-time analytics to create effective campaigns that drive clicks and results, they can link their channels to business. Marketers should take advantage of viral media trends in order to generate buzz and earned (free) media for their brands. In order to do this, marketers must first understand their customer and what their interests and motives are so they can communicate to consumers in a relevant way. This means incorporating consumers’ increased interactivity with technological innovation, and cultural and social changes. One of the most effective ways to market products to consumers is by partnering with influencers that are authentic and relevant to the target audience. Marketers can utilize these partnerships by providing offer codes and incentives. Businesses can customize these for each influencer and organically distributed to feed directly into internal marketing analytics platforms. These types of campaigns work well with platforms like Instagram and Like to Know it, influencers and retailers commonly use on social media. Data and analytics are changing the game. It is important for marketers to recognize these new trends in social and media interactions with brands. If so, they can take advantage of them to help benefit their own products and services. It is still vital, however, that brands and marketers remain authentic in their branding campaigns because consumers have no issue calling out brands who miss the mark. Don’t be like Pepsi, instead learn about the authentic way Sweden marketed their country on Airbnb to generate tourism interest, and stay genuine. If you’re wondering: where do I start? How do I even begin looking at analytics? What do I look for? MAKE is here to help.